What's better than a ﻿sale﻿? A Collaborative sale!!! 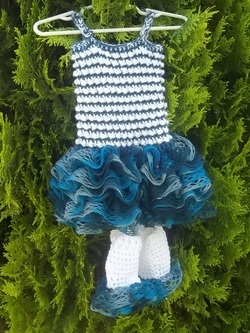 Right now, you can receive 50% off my 18" Doll Dress Collection here on my site and on Ravelry by using code AGDOLLDRESS at check out. 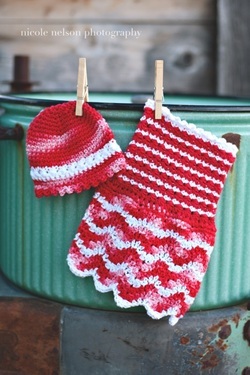 Then, you will receive a code (on the pattern) for 50% off of Crochet by Jennifer's AG Doll Hat collection. How awesome is that? 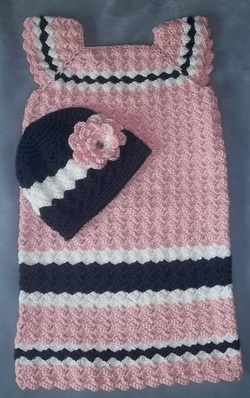 Crochet by Jennifer is all about texture and did an amazing job on the Diagonal Weave hats and bonnets. I loved the look of it and knew I had to design a Diagonal Weave skirt to match! Little Luvies Swirly Whirly Firecracker hat was the inspiration for my Swirly Whirly Sundress! And the Barefoot sandals are just darling.Don't you just LOVE this outfit? The Lemon Lime Summer Skirt is so fun to work up and Crochet by Jennifer designed the Kate Bonnet to be the perfect accessory. 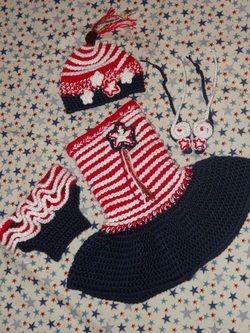 Another beautiful option for the Stars & Stripes Sundress is the Ashlee Beanie or Cloche by Crochet by Jennifer. Beautiful together! Made by MTL designed the Snap Dragon Hat to pair up with the Snap Dragon Dress. Hiedi's Hook designed these Miss Priss Baby Leggings to go with the Princess Britt dress. Perfect for photo props or just for fun! 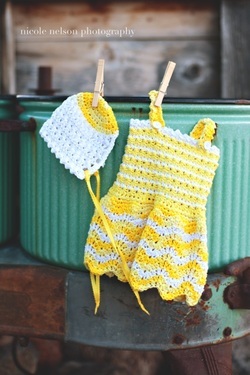 The Primrose Capelet was designed to coordinate with the Primrose Baby Bonnet from Crochet by Jennifer. Both patterns are reversible with very different looks to them. Both very beautiful results! 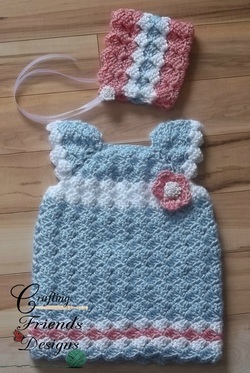 Crochet by Jennifer designed this pretty little "Karma Baby Bonnet" and it needed a capelet to coordinate. The Mystique Capelet makes a perfect set! Little Luvies Shop had fun making my Ribbon Candy dresses and came up with the "RickRack" Hat pattern to match. Such a fun set! Crochet by Jennifer designed her Katrina Cloche quite some time ago and we discovered it's a wonderful match for my Oh Snap dress.